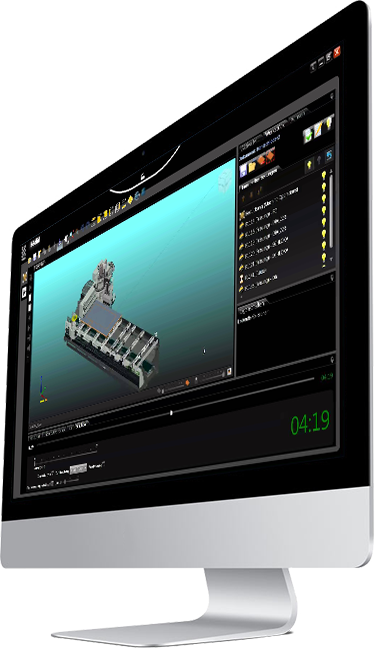 Reduced working dimensions and maximum performance. 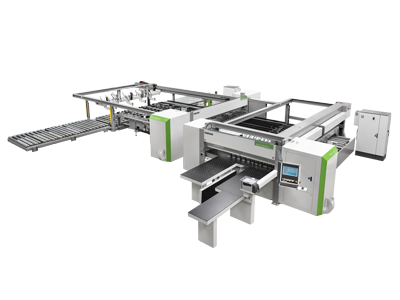 Selco WNA 6 is a range of cutting systems offering two fully independent cutting lines with automated loading that respond to the requirements of the furniture and semi-finished product industries. Selco WNA 6 is an innovative solution that is ideally suited to small and mediumsized companies who want to automate their production processes. 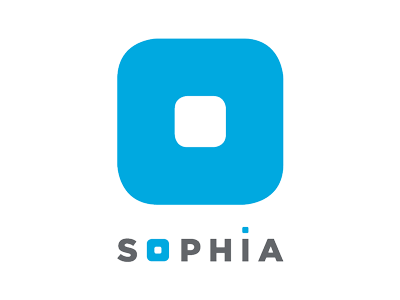 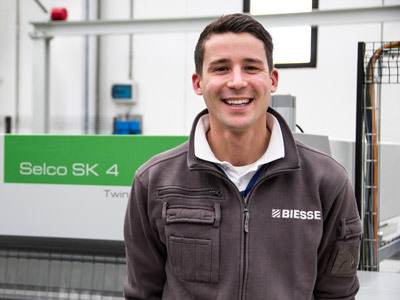 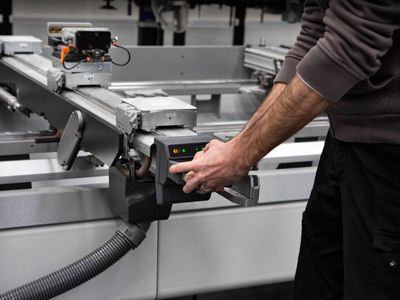 Significant reduction of processing times thanks to the possibility of combining the grippers with any type of cutting patterns in a single cycle. 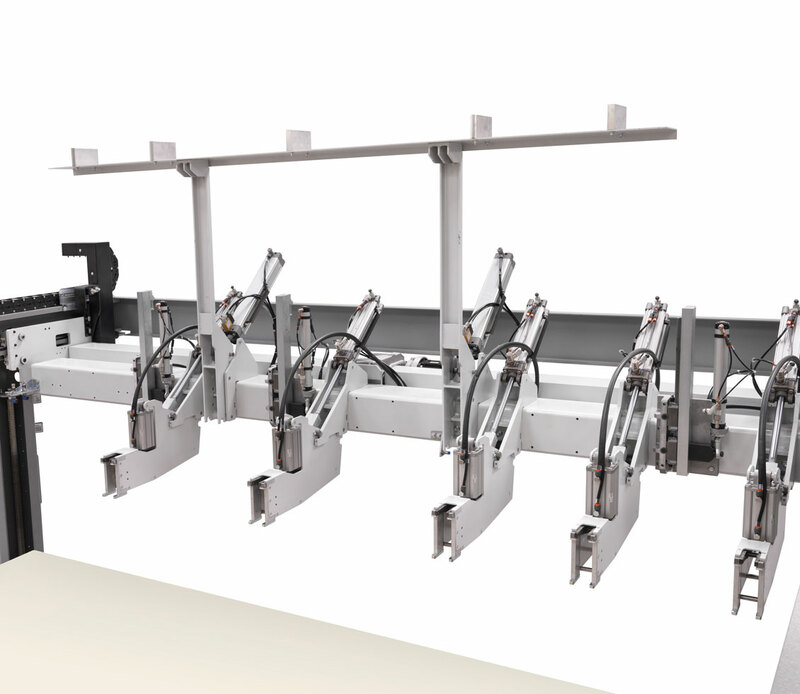 Device for simultaneous execution of staggered cross cuts, made with two completely separate pushers. 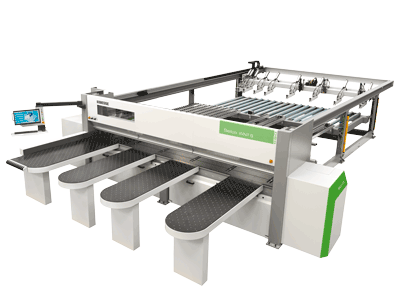 Each pusher can choose to select two idle slave grippers (not powered) completely independently, based on the strips width to be cut. 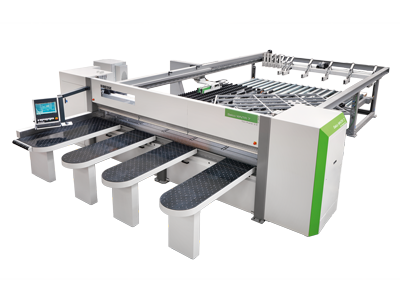 This enables the processing of panels up to 4500 x 2200 mm. 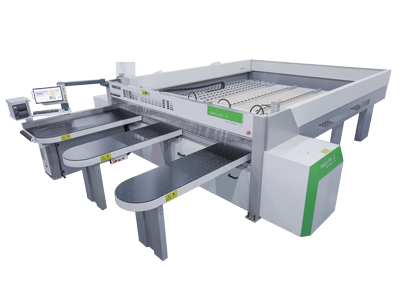 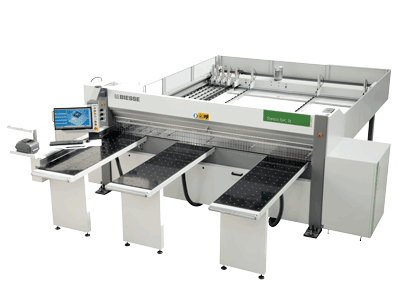 The two cutting stations can execute cutting patterns completely independently, thanks to the presence of an intermediate zone that can accommodate a whole panel. 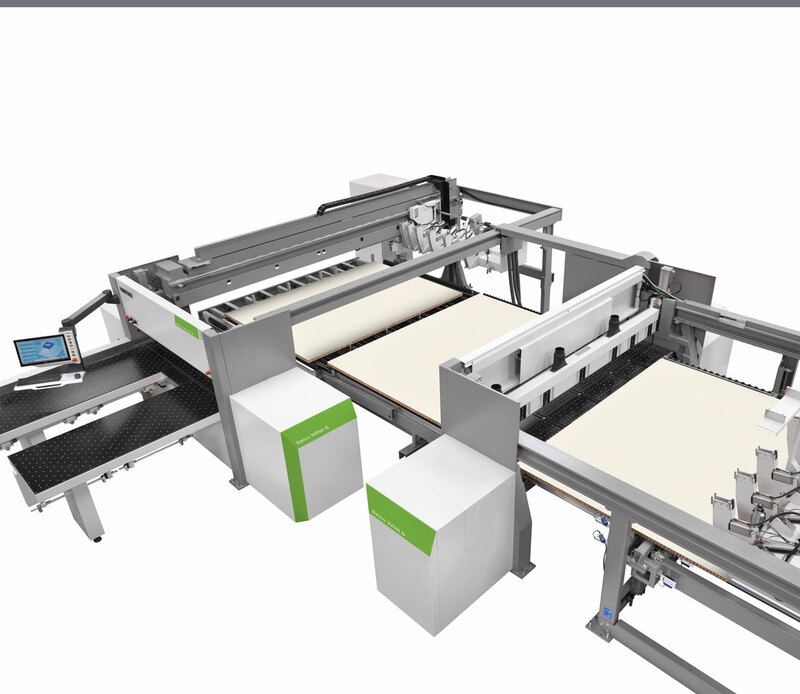 Both areas are fully covered in independent rollers to preserve the panels’ surface.